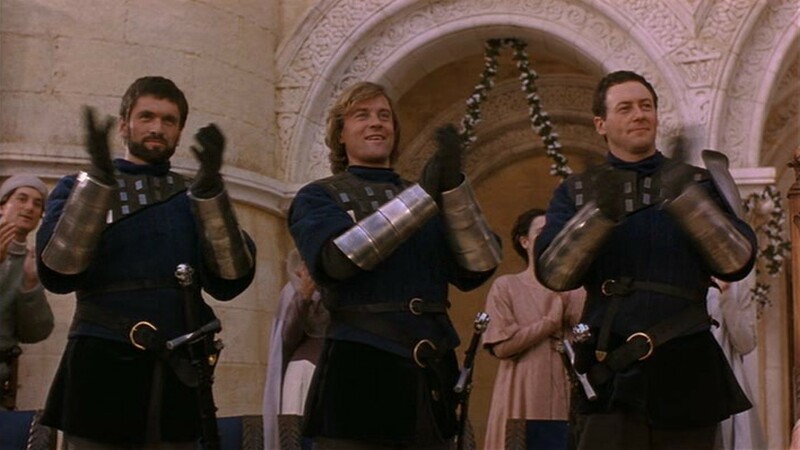 A black leather belt belonging to one of the knights who served King Arthur (Sean Connery) from the production of Jerry Zucker’s romantic adventure First Knight. 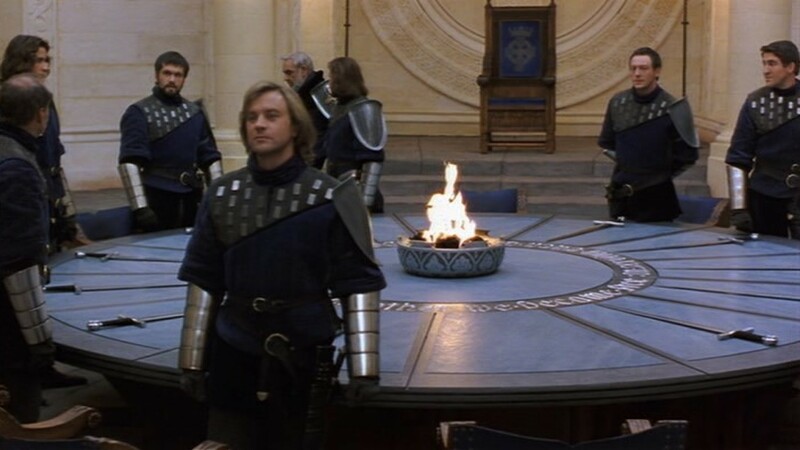 The film tells the classic story of the Knights of the Round Table, exploring the love triangle between King Arthur (Sean Connery), Guinevere (Julia Ormond) and Lancelot (Richard Gere). 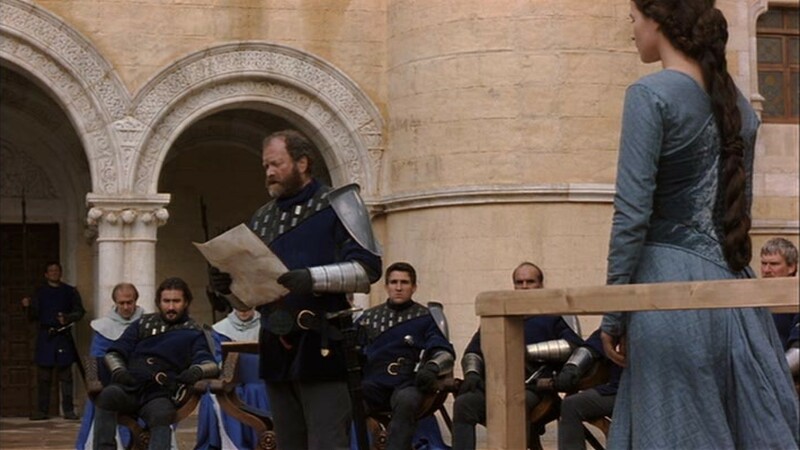 Leather belts were worn by King Arthur’s knights throughout the film, including the scene where Lancelot impressed the King by successfully defeating an obstacle course in order to receive a kiss from Guinevere. The piece consists of two sections of a thick leather belt, sewn together creating an angled shape. 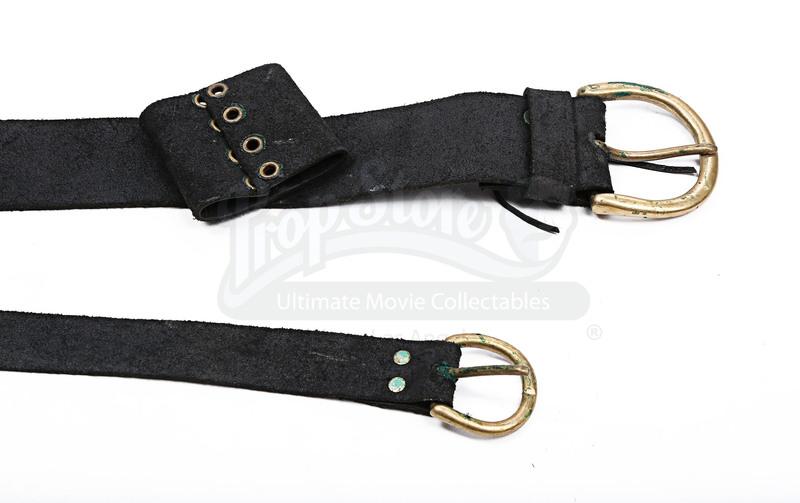 A thinner belt is attached above and would have sat on the waist area of the actor wearing it. Both belts feature a gold coloured buckle and the thicker belt displays a loop with eight metal rivets, adhered to hold a sword and its sheath. The metal sections of the belt show signs of oxidisation and the piece exhibits light scuffs, remnants of glue and minor wear from production use. The belt remains in overall very good condition.